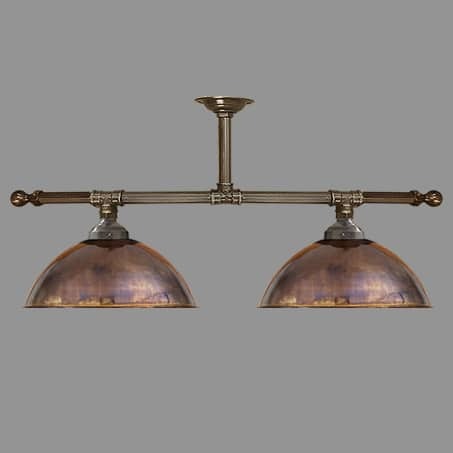 Industrial Pendant two Light Bar Copper Shades. Manufactured and Designed by David John Lighting Company in our Manchester UK based design studio and workshop. A complete collection is available to compliment this item. Please ask on of our sales team for details.